Fujifilm came onto the medium format scene in a big way in 2017 with the release of the GFX 50s, and for me it’s the perfect architecture photographer’s camera. It is no surprise that the GFX is now being held with high acclaim. After all, Fujifilm is no newcomer to the highest echelon in the cinema camera and lens optics arena, having produced the legendary Hasselblad lenses for may years under private label. It should also be known that in 1988 they produced the very first digital CCD camera which saved data to a memory card. At the core of the GFX 50s is the same CMOS sensor found in the Pentax 645Z, and the Hasselblad X1D 50C and H6D 50. This has become a legendary sensor, capable of resolving the finest details and having arguably the highest dynamic range in its category. Some may ask, why is the GFX 50S such a game changer? 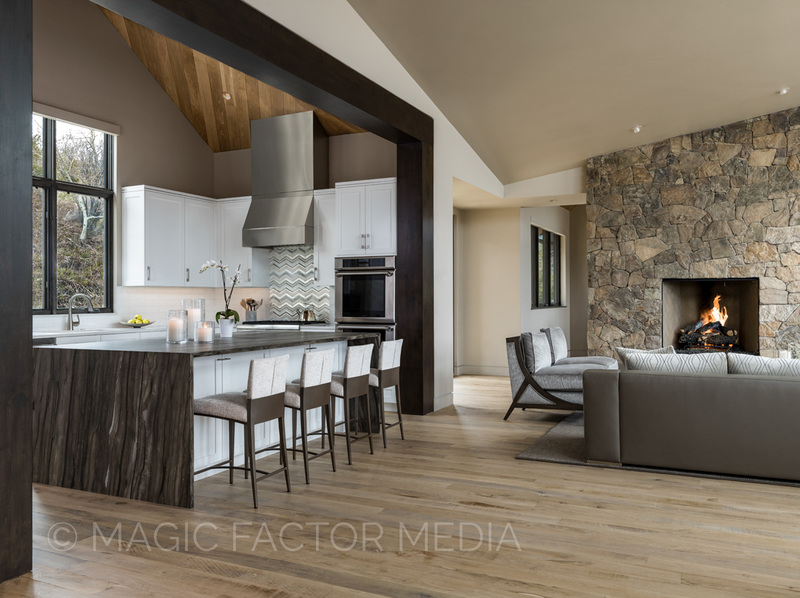 To begin with, one of my specialties is in architectural and interior photography and in the course of my work I have used 35mm DSLR’s and large tech cameras in the field. When tilt shift lenses for the former DSLR’s became available, many architectural photographers were liberated with the time efficiency and ease of use smaller 35mm cameras afforded in the field. Although sensor sizes were smaller compared to the medium and large format tech cameras, the ability to shoot pro level, publishable images in a much smaller and faster form factor caught on in a big way. With the availability of the Canon’s line of Tilt Shift lenses, including 17mm, 24mm, 45mm and 90mm, photographers had everything they needed covering ultra wide to longer focal lengths, all with rise and fall movement. Was this trend towards 35mm cameras a compromise in my view? To some degree, yes. Larger format cameras with larger sensors and deeper aspect ratios always provided “The Look” that 35mm DSLR’s could not achieve given their shallower field of view. Larger format cameras are able to capture more in a composition given the size of the sensor. 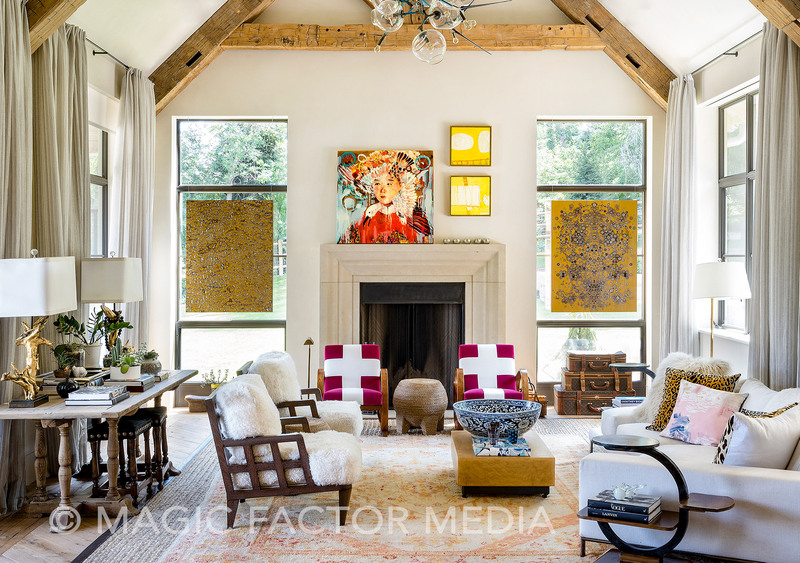 For interior photography this allows for higher camera positions and smaller shift movements to achieve optimal separation between interior elements in a composition. It is also well known that the larger pixel size found in medium format sensors affords a higher dynamic range and less noise in the lower exposed areas of the image by capturing more light per pixel. In my opinion these key factors provide a superior advantage when photographing Architecture and Interiors. Why is the Fujifilm GFX 50s so ground-breaking for me? Fuji has designed a medium format camera that is comparable in size to 35mm DSLR’s. With a price for the body under $7000 US, this allows serious photographers into the medium format space for half of what it used to cost to enter this arena. 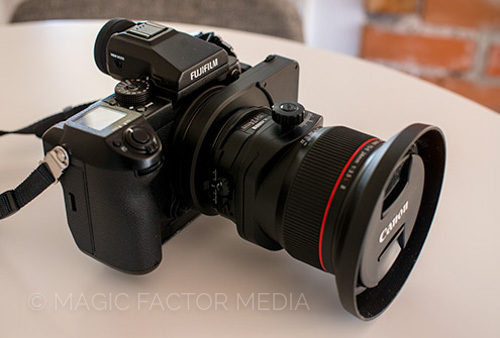 It has a fantastic 51.4mp 43.8mm x 32.9mm sensor which provides a much larger aspect ratio than the 35mm format. The camera is as easy to use as any 35mm and provides the medium format “Look” and dynamic range that surpasses all current 35mm cameras. Unlike other manufacturers that hold tight to “Proprietary” systems and lenses, FujiFilm has seemingly been very open and collaborative with third party lens manufacturers and the outcome of that is the ability to use a wide range of new and legacy lenses with the GFX50s with available lens adaptors. The shallower depth from the rear element of the lens to the sensor on the mirrorless GFX 50s allows some 35mm lenses with large image circles to be used such as the Cannon Tilt Shift series lenses and still achieve 6-10mm of rise and fall shift. The Contax 645 lenses are also great and with a shift adaptor and allow rise and fall movement without vignetting. With lens adaptors, I have been able to assemble all of my favorite lenses and maintain tilt shift function across a wide range of focal lengths. FujiFilm makes some of the very best lenses (including the legendary Hasselblad line up) and Fuji tilt shift lenses are expected to be coming soon. Everything I need for my work fits in one carry on Pelican 1510 case! Like this article? Learned something new? Share with your friends.